In 1950, Bob and Fay Lehr purchased the Deer Head Inn and maintained the jazz venue. In 1962 Bob hired the young pianist John Coates, Jr., securing the Inn’s legendary reputation in the world of jazz. John was the house pianist for the next 30 years and continues to perform here. 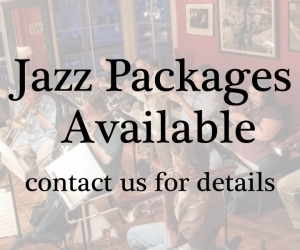 Some jazz greats who came to the Inn and played with John include saxophonist Al Cohn and Zoot Sims–two of the Four Brothers–Stan Getz, Phil Woods, George Young, and Nelson Hill and pianist Keith Jarrett would frequently sit in on the drums, trombonist Urbie Green often stopped by, along with other greats as guitarist Harry Leahey, bassist Steve Gilmore and drummer Bill Goodwin. Additional performers at the Inn include saxophonist Dave Liebman, pianist/ songwriter Bob Dorough and more. Some live recordings were produced here with John Coates, Jr., leading the way along with Phil Woods, followed by Keith Jarrett, Dave Tofani, Jerry Harris, Nancy Reed, and others. Bob and Fay’s daughter, Dona, and her husband Chris Solliday took the business over in 1992 and brought in a whole new list of musicians, including Bill Mays, Fred Hersch, David “Fathead” Newman, Pat Metheny, Mark Murphy and Bill Charlap. In October of 2005, four long time fans of the club, Dennis Carrig, Bob Mancuso, Jason Wilson, and Mary Carrig purchased the Deer Head Inn. Denny and Mary are brother and sister, Bob and Jay, father and son. The beautiful mansard roof and box gutters have been restored, as well as the third and fourth floors to accommodate overnight guests. The music focus remains jazz. 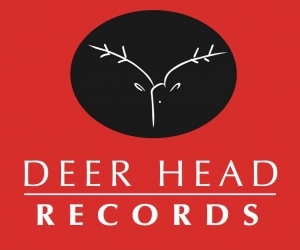 capturing and producing live performances, an in house record label Deer Head Records and a full dinner and bar menu as well as a full service bar.